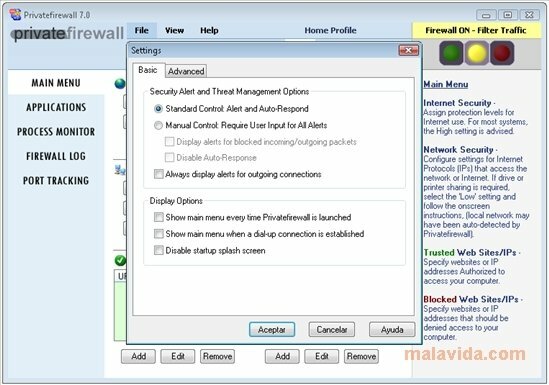 The amount of threats that can attack a computer from the Internet grows by the day, and due to that reason it's necessary to have a Firewall, like Privatefirewall, to prevent any of these threats from entering your computer. Firewalls are the best defense against keyloggers and rootkits that many malicious websites that can be found over the Internet may try to install on your computer, Privatefirewall will protect it against them, but furthermore, it will also control all the computer's processes in search of any anomalies in their behavior to be able to stop any malware before it's too late. 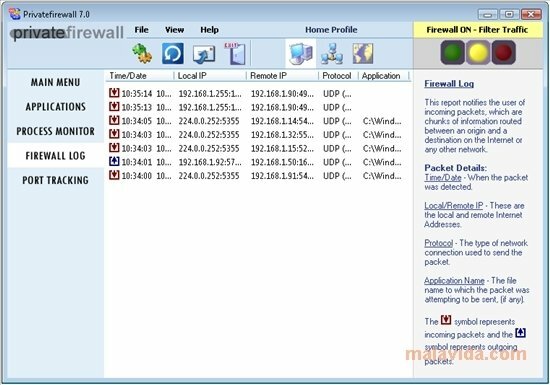 As if this wasn't enough, Privatefirewall keeps a history file with all the incoming and outgoing signals with both the record of the local as well as the remote IP to have full knowledge about each connection that takes place on the computer. 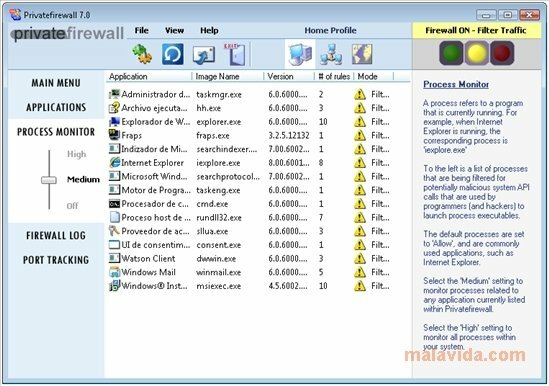 Therefore, if you want to have total protection against attacking websites, malicious mail, system process anomalies and have the Windows registry file safe and sound, downloading Privatefirewall free is a very good option.